down. You see, I am a triple threat-I have high blood pressure, I am a diabetic and I am over weight. While I am currently on a weight loss program and have dropped 33 pounds I am looking for a way to help repair and reduce the damage I have done over the years to my body. My L-Arginine arrived to me in a very timely manner and was well packaged. The jar has a net weight of 13.4 oz 9380 g) and is contains 30 servings. The powered is grape flavor and you mix 1 level scoop(12.7 g) into 4-8 oz of water, the scoop is located inside the container. It come with a safety seal under the cap and it is also gluten free. It is made in the USA and is manufactured in a NSF and GMP compatible facility. The directions state it should be taken between meals or on an empty stomach. Also that each scoop provides 5,110 mg of L-arginine and 1,010 mg of L-citrulline. It only contains 35 calories per serving, that is a plus in my book since these days I am currently counting every calorie. What can L-arginine Plus® do for you? 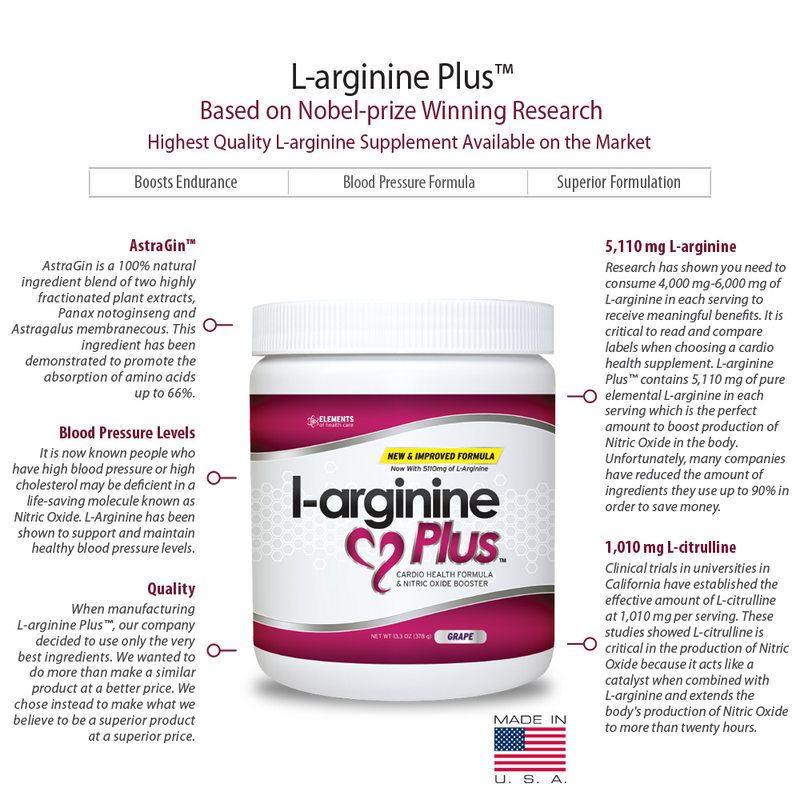 How does L-arginine Plus® work? 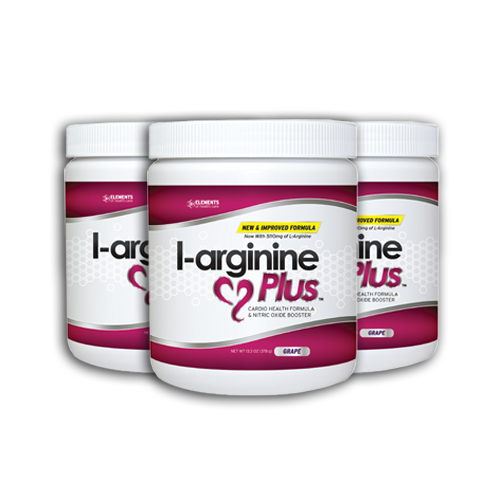 L-arginine Plus® supplies your body with two vital amino acids, L-Arginine and L-Citrulline. The first triggers cellular production of Nitric Oxide. 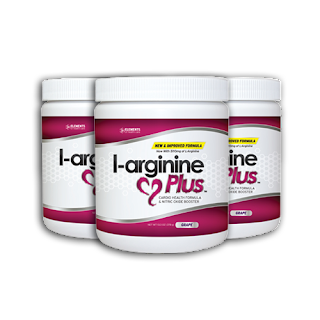 Increased levels of this tiny "miracle molecule" provide many of the health benefits of L-arginine Plus®. Nitric Oxide is a powerful neurotransmitter that reduces stress on the heart, lowers blood pressure and prevents clots by enlarging blood vessels through a process called vasodilation. This process produces multiple effects including lower blood pressure, improved circulation, reduced stress on the heart, and reduced plaque in blood vessels. It has been called the "miracle molecule" ever since the publishing of three UCLA doctors’ work that won them the Nobel Prize in 1998. 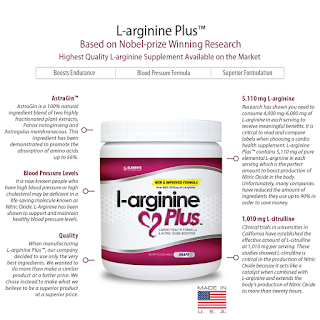 L-Arginine also has many health benefits aside from what Nitric Oxide alone can do. In recent clinical studies it has been proven to build lean muscle and preserve bone density. 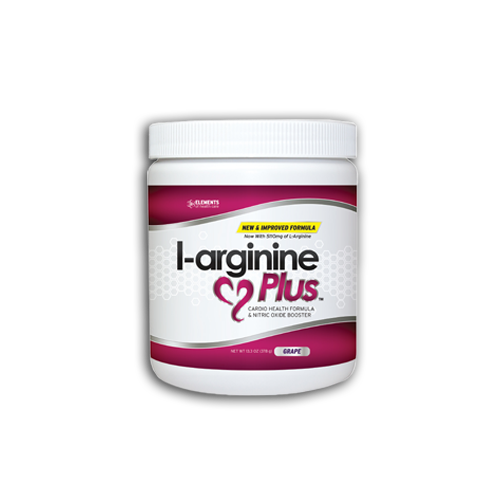 Naturally, L-Arginine has grabbed loads of attention for its heart and general health benefits. The second amino acid, L-Citrulline aids in the sustained production of more L-Arginine and increases energy levels. No other supplement is as complete as L-arginine Plus®. Beside the two amino acids, it provides your body with a perfect blend of antioxidants, vitamins and minerals to reverse the aging process and improve overall health.